If you liked this show, you should follow TurfNet RADIO. 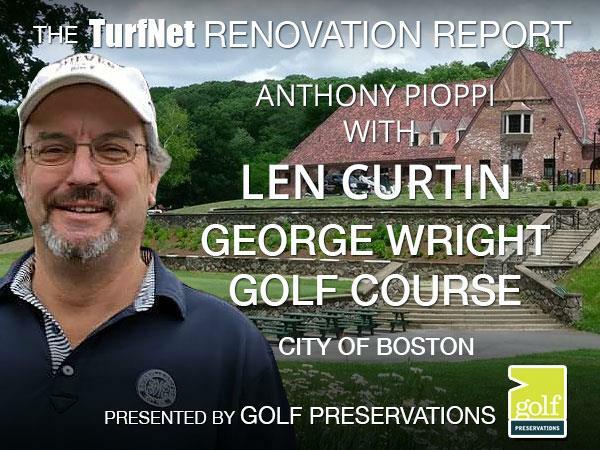 In this episode of the TurfNet Renovation Report, presented by Golf Preservations, host Anthony Pioppi chats with Len Curtin, superintendent at the city-owned George Wright Golf Course, a 1932 Donald Ross course in Boston. The task of bringing the busy course up to current standards within the fiscal and labor constraints of a city-owned facility has been a rewarding challenge for Curtin, superintendent there since 2004.